Lela M. Culpepper, Wife, F, 23, M1, md-1 yr, ch 0/0, TX FL TN. 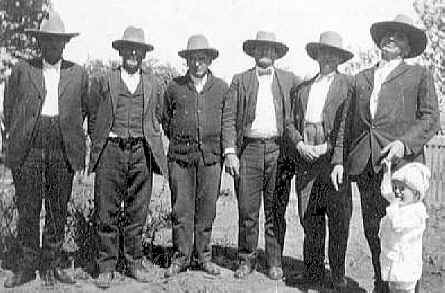 Lavaca Co., TX: Jincy Katherine Culpepper and P. F. Grant, 26 Nov 1901, Book VI, p. 12. Louis Irvin Culpepper, Male, died 4 Sep 1979 in Bexar Co., TX. Beulah Culpepper, Wife, F, 24, M, TX MS TX. Claire L. Culpepper, Dau, F, 7, S, TX/TX/TX. Beulah T Culpepper, Female, Single, died 4 Mar 1972 in Bexar Co., TX. C. C. Culpepper, Head, M, 28, M, md@23, TX TX TX , Mgr-Tire Co.
Billie Rose Culpepper, Dau, F, 3, S, TX TX TX. Colyer Clayton Culpepper, Male, died 25 Jun 1988 in Karnes Co., TX. Bertie S Culpepper, Female, died 10 Apr 1997 in Harris Co., TX. 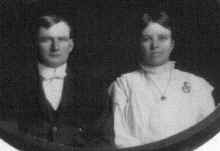 Beta Culpepper, Boarder, F, 25, S, TX TX TX, Home Demonstrator-Kerr Co.
Naomi Culpepper, Wife, F, 21, M, md @21, TX/TX/TX, Public School Teacher. Quillon Benton Culpepper Sr, Male, died 12 Jan 1996 in Orange Co., TX. Nancy Elaine Culpepper, Female, born __ 1938 in Orange Co., Texas, child of Quillon Benton Culpepper and Naomi Elaine Leonard. Quillon Benton Culpepper Jr., Male, born __ 1942 in Orange Co., Texas, child of Quillon Benton Culpepper and Naomi Claire Leonard. Naomi Claire Leonard Culpepper died Tuesday, June 8, 2004 at her home in Orange, Texas, after a lifetime of devotion to her family and community. She was 96. Naomi was born May 11, 1908 in Arlie, Texas in the Texas Panhandle to John Stanton Leonard and Elizabeth Bayliss Hays Leonard. She was preceded in death by her husband of 66 years, Quillon Benton ("Q.B.") Culpepper, Sr., her mother and father, her four siblings, and one of her great-grandchildren, Zachary Broadway. Naomi, known affectionately to her family as "Nomi", is survived by her two children and their spouses: Nancy Claire Culpepper Johnson and her husband, Jack, of Georgetown, Texas, and Quillon Benton ("Ben") Culpepper, Jr. and his wife, Gloria, of Orange, Texas; six grandchildren: Diane Johnson Broadway of Austin, Texas; David Johnson of Bangladesh; Beth Culpepper Turley of Beaumont, Texas; Chris Culpepper of Orange, Texas; Susan Culpepper of Round Rock, Texas; and Andrew Culpepper of Austin, Texas; and seven great-grandchildren: Krista Broadway, Claire Broadway, Jacob Broadway, Isaac Johnson, Naomi Johnson, Michael Johnson, and Jill Turley. In her childhood years, Naomi and her family moved in a covered wagon from Arlie, Texas to San Marcos, Texas and later to Alvin, Texas, where she graduated from high school as Salutatorian. Although she was accepted to The Rice Institute in Houston, there were no dormitories for women there in 1925, so Naomi borrowed $500.00 in order to attend The University of Texas at Austin. She later earned both Bachelor's and Master's degrees in Education from the University of Houston. On August 25, 1929, Naomi married Q.B. Culpepper, and they relocated to Glidden, Texas, where Q.B. served as Superintendent of the school district and Naomi taught first and second grades. After two years, the couple moved to Mauriceville, Texas, where they served in similar capacities for nine years. In 1940, Naomi and Q.B. 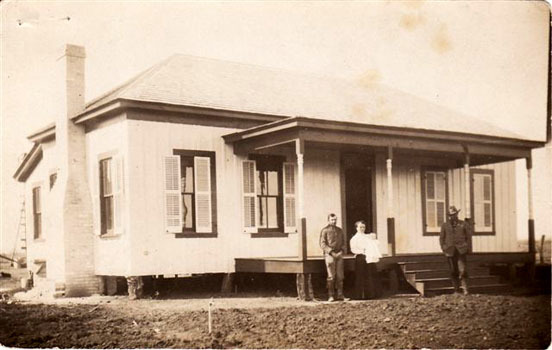 moved to Spurger, Texas and served in the school district there until 1942 when they came to Orange, Texas to join the war effort. Q.B. worked in the engineering department of Consolidated Steel in Orange, while Naomi reared two children and substituted as a first-grade teacher at West Orange Elementary. In 1946, Naomi accepted a full-time position teaching first grade at Anderson Elementary in Orange, Texas. She later moved to Jones Elementary in Orange and then retired as a teacher from Bancroft Elementary in Orange in 1973, after a teaching career of more than 42 years during which she taught hundreds of first-grade children not only how to read and write, but important lessons of values and virtues for success in life. She enjoyed reminiscing about her teaching career during her retirement years and often encountered former students who remembered her with fondness and appreciation. Naomi was a long-time, faithful member of First Baptist Church, where she taught children's Sunday School and later taught a senior ladies' Sunday School class. Her years of service to Orange include service to the local hospital as a Gray Lady, membership in Delta Kappa Gamma, a professional organization for teachers, lifetime membership in the Texas State Teachers Association, and service as a charter member of the Kiwanis Club of Orange Golden K. She was the recipient of a Proclamation from City of Orange Mayor Brown Claybar in May 2003, in recognition of her 95th birthday. Naomi and Q.B. celebrated 66 years of marriage in August 1995, prior to Q.B. 's death on January 12, 1996. She lived a quiet, yet extraordinary life devoted to family, friends, church and home. This was a life well lived and well loved, and she will be deeply missed. Obituary of Naomi Claire Leonard Culpepper, published 10 Jun 2004. Mildred Culpepper, Karnes Co., Nov 9 1908, 36675. Louis Culpepper is the father of an infant born 25 Aug 1909 in Karnes Co., Texas. David R. Culpepper, born 1911, white, citizen, resident of Galveston, Texas. Enlisted as a Private for three years on 6 Sep 1940 at Houston, Texas in the Army's Signal Corp. Education: 1 year of college. Civil Occupation: Engineering Aide (Designated Field) or Sales Clerk, Height: 77". Weight 152 lbs. David Russell Culpepper, Stockton, California, Book Section E, Page 162. David R Culpepper, Male, died 27 Aug 1993 in Washington Co., TX. 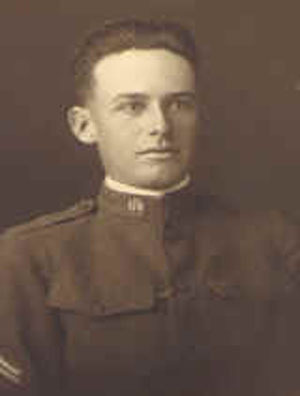 Photographed* circa 1918� He was photographed circa 1918.